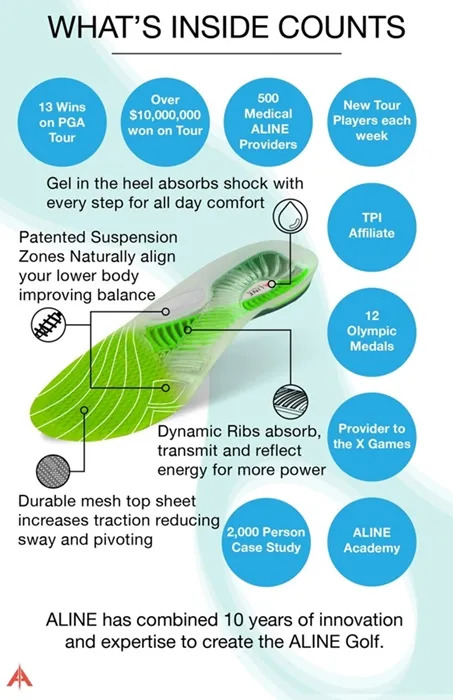 ALINE's patented technology optimizes a golfer’s performance by properly aligning the back, hips, knees and ankles. 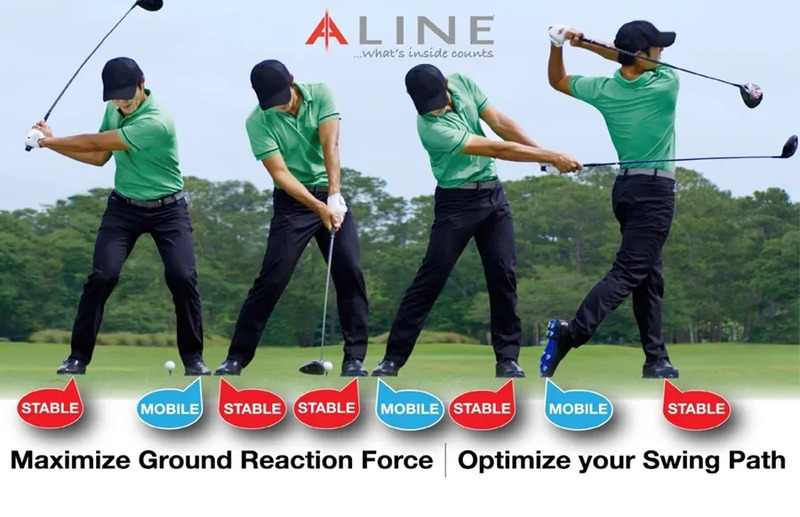 This helps reduce lower body fatigue and improves swing mechanics, resulting in maximization of ground force reaction for more distance and accuracy. At RNGA we have seen great results with the use of ALINE systems. Their simple equation of Stability = Faster Swings = Longer Drives means that our golfers play better and have more fun! Come in and speak to us about ALINE.